The Neurodevelopmental Disorders Lab offers research experience for undergraduates and graduate students who are highly motivated and hard-working. Students in our lab obtain hands-on research training by assisting with activities such as participant assessment, behavioral coding, and data entry. 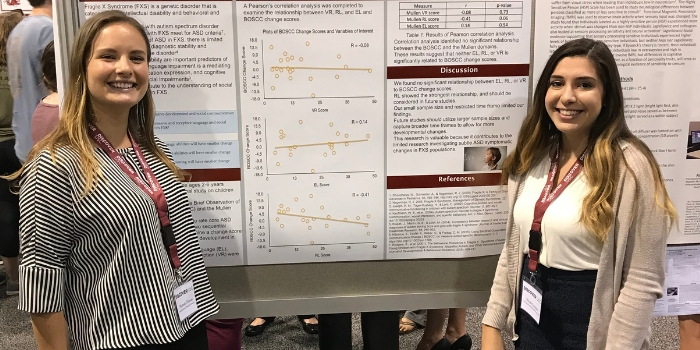 Student research assistants gain mentorship, the potential to pursue independent research, and opportunities to present at local conferences. Many of our students go on to receive competitive research awards to support their work with us, such as USC’s SURF and Magellan Scholars awards. Volunteer or course credit opportunities are available. Due to the nature of our work, a two semester commitment is generally required. Interested students should email completed applications to Shannon O’Connor.